Red Dead Online / What are you going to do first? I believe there is an introduction of some sort, but after that is done I think I might go hunting. Maybe even try and find one of these enemy camps. Red Dead Online / What kind of character will you make? As the title says, what kind of character are you going to play online? What kind of physical traits will they have? What kind of person will they be? I am going to try and make my character look as much like me as possible, but with a much more rugged beard. So for most of the game you don't seem to really venture out much into the parts of the map from the original RDR. It does lead to the questions why they would of gone through so much effort to put it in if its really unused. Granted I love seeing McFarlane's Ranch, Armadillo and Tumbleweed all before the events of RDR. As it makes sense that you don't venture out there because in the early game we know the gang didn't seem to have ever travelled out to some of these places. But could this be leading to a thought that these areas might be more well used in a DLC expansion? Would you like to see these parts used more in an expansion, or maybe even in Red Dead Online? Spoilers posted in this forum or any other subforums other than the dedicated Spoilers section is restricted. Anything that may contain a spoiler within these subforums MUST BE PLACED IN SPOILER TAGS. If you want to talk in depth about spoilers please join the spoilers group from your profile and you will see a new subforum appear. You are free to join and leave this spoilers group at will, and leaving will prevent you from seeing the subforum or threads going forward. The link to joining will appear on THIS page. Join us this weekend as we celebrate a Red Dead Weekend to get hyped for Red Dead Redemption 2. We'll be playing all weekend long and hosting some live streamers on Mixer and Twitch. Lets us know if you're playing/streaming and group up in Discord. Are you jumping right in on launch day? Are you closing off your whole house for the week to play? Are you going to be live streaming it? Let us know your plans for launch day! So E3 2018 is set to kick off in just a couple of hours with EA's press conference. What is everyone hoping to see this year? Personally I am very keen to see more about Vault 76, as well as hoping for a new Elder scrolls that is MP but not an MMO like Elder Scrolls online. Not sure how likely that is though. Also excited to see if Sony announce anything new as we kinda know most of their current lineup of games for the next 12-18 months. Want to see more of Anthem, Skull and Bones, Last of Us Part 2, The Division 2, Crackdown 3, Days Gone and Splinter Cell. Of course, always interested to see if there is anything said about RDR2 but I am not expecting much to be perfectly honest. Just a quick update. I've gone ahead and created a Mixer streaming account for Red Dead Forums. I plan on using it down the line for some of the events and tournaments I want to run both for when RDR2 drops, as well as in the lead up to it if there is any interest for people playing the original Redemption. I also am gonna try and host other streamers who are playing the game when we don't have other events planned. If you could go ahead and give it a follow so we can start to get a fanbase of those interested in these types of events I would be grateful. I am still trying to work out the best way of doing it but have a few ideas I am gonna play around with over the coming weeks/months. As always if you have any ideas or expressions of interest in playing some online events let me know. How would you guys feel if we ran regular tournaments/events for RDR2? As some of you know I have also recently been exploring streaming and have really fallen in love with the streaming community, particularly on Mixer. Part of my idea would be to have some events streamed via peoples Xbox's or Playstation consoles. 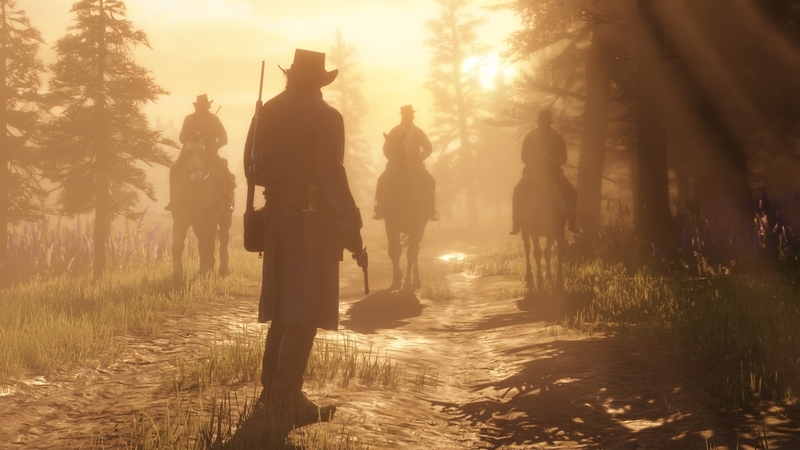 Specific details will have to be worked out once we know more info on RDR2. What I want to ask is how would you guys feel if we used a third party site like http://challonge.com to help organise the tournament brackets etc? For instance, if you to go http://challonge.com/19cqw0z0 and sign up to my "test" tournament you will see how it works. Could be a useful tool if we can ever run large scale tournaments. With the popularity of eSports booming I think there is a great opportunity for those who want to hone their skills in the new game. Official News / Release date announced! October 26th 2018! So lately I've been looking at this new game. Its currently due for release later this year but I've been able to play it during its closed beta stage going on. Its a kind of survival game with aspects of Arma and DayZ. You build you character, go on a raid to loot places and people you kill. If you die, you lose all your stuff but if you can extract with it you get to keep it all for future raids. The biggest thing is that its super difficult and hyper realistic. A few shots is enough to kill, with potential to bleed out over time if you don't bandage. You can get broken bones and have to splint them, or drink water to avoid dehydration. You can break weapons down and change them up right down to a modular level. Just everything about this game is trying to make you feel like you could die at any moment. Even when you shoot a weapon the gas escaping causes a bit of a blur effect down the sights. Check out some videos of it if you can. The biggest issue at the moment is that matchmaking and getting into a map takes an excruciatingly long time. Until they add more servers this will be the case but they recently did a stress test so that is obviously a work in progress. Okay, so I'm gonna copypasta from a post I made at GTAForums. One thing that I would love to see implemented in RDR2 multiplayer is the ability for a host to go into spectator mode. Something along the lines of what PLAYERUNKNOWN'S BATTLEGROUNDS does with their custom servers. (look it up if you aren't familiar). It would be a great way to broadcast tournaments and events which was a big part of the original title, although coverage was limited because of the lack of capture cards amongst the general public. Now with streaming services becoming more and more accessible (see Twitch apps, and Mixer built into the Xbox One consoles, etc) it would be great to run tournaments where we could kind of have some spectator mode for those who are not playing the game. The potential for this to be shoutcasted could also be explored. 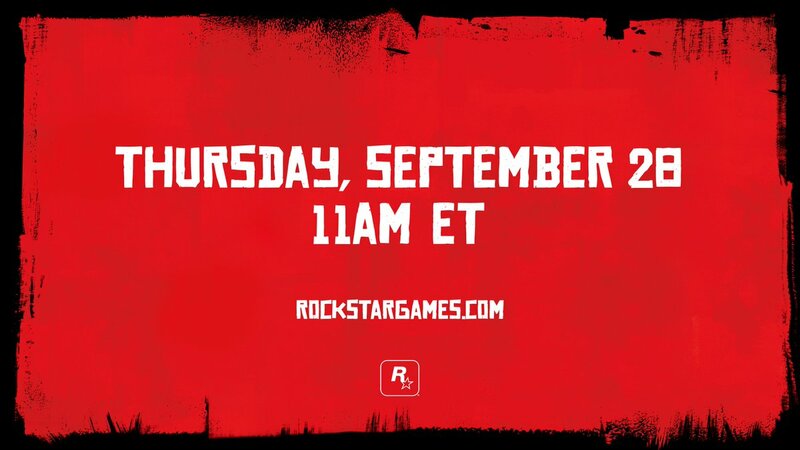 If you look at what Rockstar have been doing over the last few years with having live streams advertised via their social media with celebrities and the likes, it would be awesome to really explore this to its full potential. Events / Red Dead Weekend stream? So now with the whole Mixer streaming thing that I've been playing with I have an idea. Would anyone be interested in playing a bit of RDR this weekend and just find a private lobby that isn't tainted and roaming around the Wild West whilst I stream it? These are the session times we are planning. Obviously feel free to arrange your own sessions outside of these, but these will the be times I am trying to stream as much during (provided there are others playing). Probably about time this got its own topic seeing as a couple of us are playing again. I've started getting back into the swing of things after having to restart. Not sure what happened to my previous progress but I can't remember if I was that far in so its no biggie. Just hired my second driver so now I can start repaying the loan I took out to buy my own truck/upgrade my garage. I've also been switching back and forth between my PC gamepad, my old Playstation 2/USB steering wheel (which I had never used before) and my Xbox One controller. I think I'm going to stick with my Xbox One controller though, only because I have the chat gamepad attached so I can use all the keyboard commands as well instead of being limited to the 12 or so buttons on the gamepad. It was also a pain having to change each button when I switched from controller to controller.